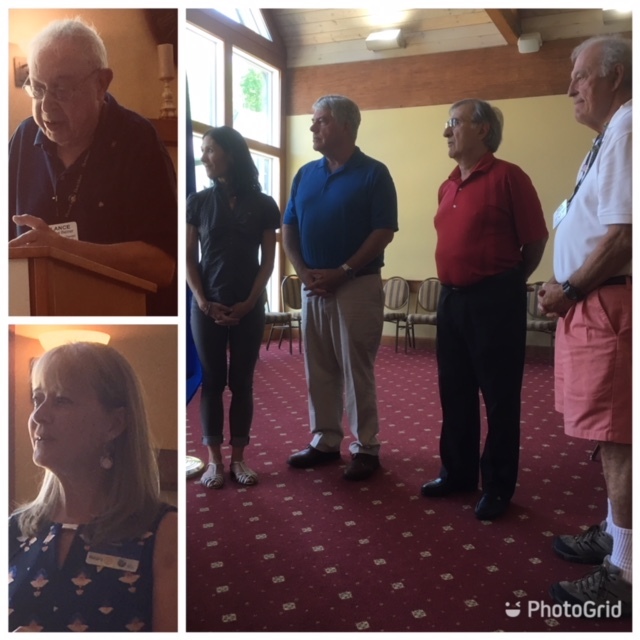 It was a busy 5/29 luncheon meeting for the Salisbury Rotary Club as club members voted to approve revised By-laws for the Club and the Club’s Foundation, updated and proposed by SRC Past President, Lance Beizer. Club President Fran Chapell shared the Board’s proposed Slate of Officers for 2018-19 and Foundation President Lance Beizer shared nomination of a new president and a new Trustee. President Chapell then conducted the induction ceremony for two new members, Athena & Tolli Fliakos, with their sponsors at their sides, Pat Galloway & Rick DelPrete.